Indulge in a truly luxurious seaside Florida beach experience when you buy or rent at Wyndham Santa Barbara in scenic Pompano Beach. Escape the mundane in this haven of relaxation featuring beach access, south Florida Intracoastal Waterway views, Fort Lauderdale attractions, golf courses, shopping opportunities and fine dining. Beach lovers adore being so close to the water in a Wyndham Santa Barbara timeshare. Indulge in deep-sea fishing, yacht cruises, surfing, jet skiing, snorkeling, windsurfing and scuba diving. Or, simply relax and relish the warmth of basking in the Florida sun. Take joy in soft ocean breezes as you enjoy your luxurious salt water escape. Sports minded guests will love playing racquetball, tennis, using the fitness center, horseback riding and a choice of 22 challenging golf courses. Afterwards, enjoy soaking in the hot tub and swimming in the outdoor pool. Kids stay entertained with a playground, children's activities sponsored by Wyndham Santa Barbara resort and an arcade and game room. Relax in your suite in a comfortable queen size bed and fix a quick meal in your private kitchen. Relax watching cable TV and enjoy all the comforts that make it so attractive to buy Wyndham Santa Barbara timeshare properties when they become available on the resale market. Stellar beaches and the Intracoastal Waterway are huge attractions while guests also love being close to Fort Lauderdale attractions like the Museum of Discovery and Science and the Museum of Art. Meander through Sawgrass Mills Mall or Las Olas to discover shopping delights and delectable restaurants. The Hard Rock Casino gives you the thrills of casino entertainment. 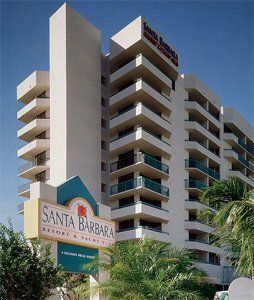 With so much to do, the idea to buy a Wyndham Santa Barbara timeshare property is an exciting, tantalizing option. 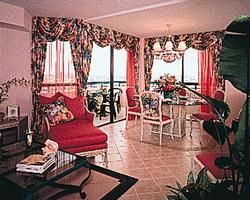 Everyone will love a seaside beach getaway and look forward to returning. 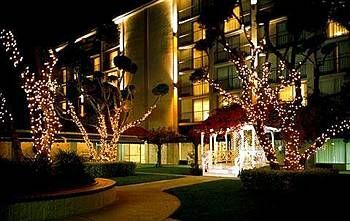 Contact Wyndham Santa Barbara Specialist Today!